"Heart of Christmas" Solids are the solid digital background papers that colour match this warm Collection. 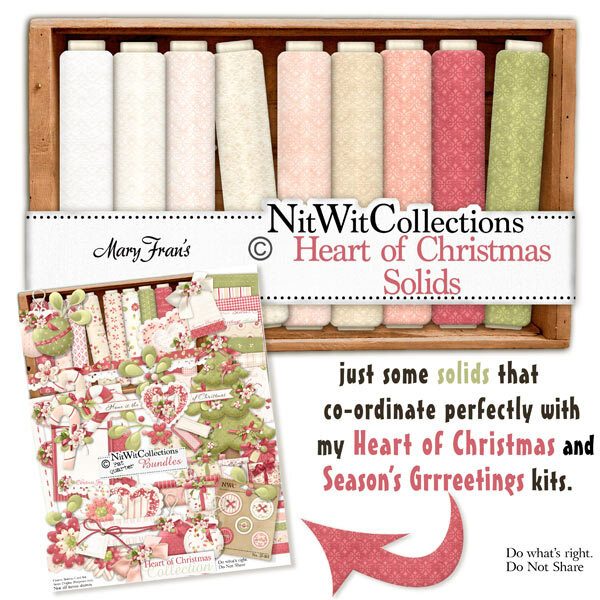 These solid digital papers are NOT included in the FQB "Heart of Christmas" Collection and also match my Nitty Bitty "Season's Grrreetings" Mini Kit. 9 Solid digital background papers with a damask-style embossed pattern in them, that coordinate with my "Heart of Christmas" Collection and "Season's Grrreetings" Nitty Bitty Mini Kit.